Fattoria I Canarini is the only regional farm to offer exclusively vegetarian cuisine: for over 17 years the farm crops are cleverly proposed to close and exacting audiences through traditional local dishes, revisited and enhanced. The recent completion of the summer garden allows guests to enjoy a fully equipped green area where you can relax and regenerate; the swimming pond in constructed wetland is the distinguishing feature of the garden, with possibility to rent sunbeds and umbrellas; a special chiusco bar permetei to eat with aperitivos, appetizers and snacks vegetarians to combine excellent local wines; for the most discerning clientele the opportunity to dine or have lunch on the terrace covered by choosing among the many proporste of the day, a great way to interpret the theme Expo Italian, eat with pleasure, with great quality, innovation ... and ... Fattoria I Canarini Feeds the planet!! To all participants a welcome drink!! 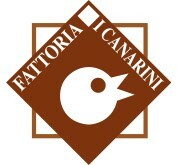 Fattoria I Canarini is a Venetian hinterland holiday farm, since ever, synonymous of quality in the production of preserved traditional vegetable and vegetarian cuisine. Our farm, reorganized in 1997, environmentally friendly techniques cultivated vegetables and fruit for preserves traditional products. Thus, in the small business workshop details and original gastronomic proposals without the use of artificial preservatives, fruit of the wise experience and a detailed manual and craft work. Pickles, pickles, jams and sauces make up the wide range of products to satisfy the most demanding palates. Canaries farm is also a synonym for vegetarian cuisine, which for over 17 years, is the distinguishing feature of our farm: the dishes proposed are the modern interpretation of tradition familiarie and territory that, with innovation and originality, deliver to the future tastes and memories of our land. Special menus for children, for the main alimentary intolerances, as well as for demanding palates vegans, complete, on demand, the offering of our particular kitchen. The spacious outdoor garden welcomes a new summer terrace and an innovative bio swimming, swimming in a pond constructed wetlands that offers the opportunity to swim in a totally natural environment without the presence of any chemical additions.